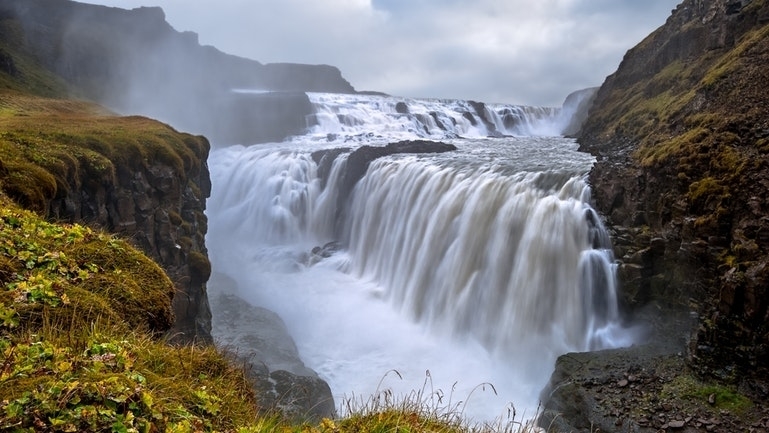 Visit two of the major attractions in Iceland, in one fun-filled day! 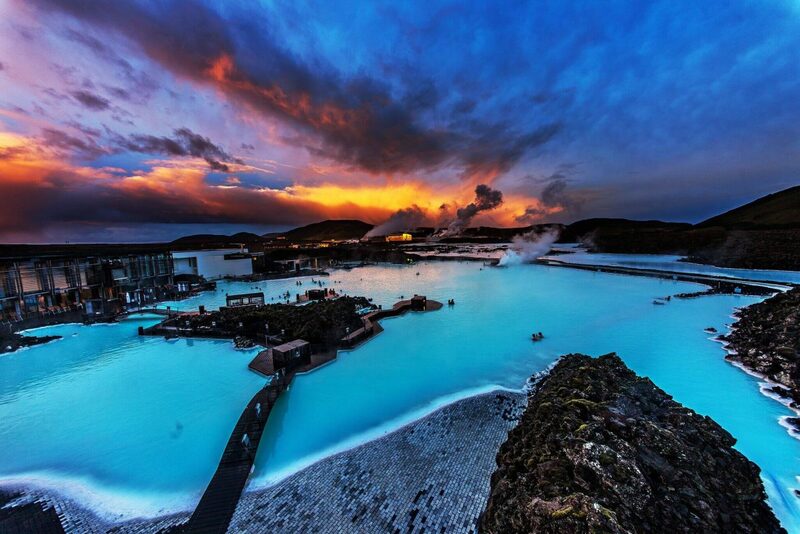 The Golden Circle (Thingvellir, Geysir, Gullfoss & Kerid) and The Blue Lagoon with standard admission ticket included. Included: Standard admission ticket to the blue lagoon, entry fee to Kerid, Mini-bus tour including pick-up and drop-off, English speaking guide & free WiFi on the bus. Not included: Lunch – we make scheduled stops so that guests can buy lunch or snacks during the tour. Good to know: The tour reaches the Blue Lagoon just before 17:00 / 5 pm and departs from there at 19:00 / 7 pm, returning back to Reykjavik around 20:00 / 8 pm. There is a very good reason why the Golden Circle and Blue Lagoon are at the top of the list of must-see places for most visitors to Iceland! 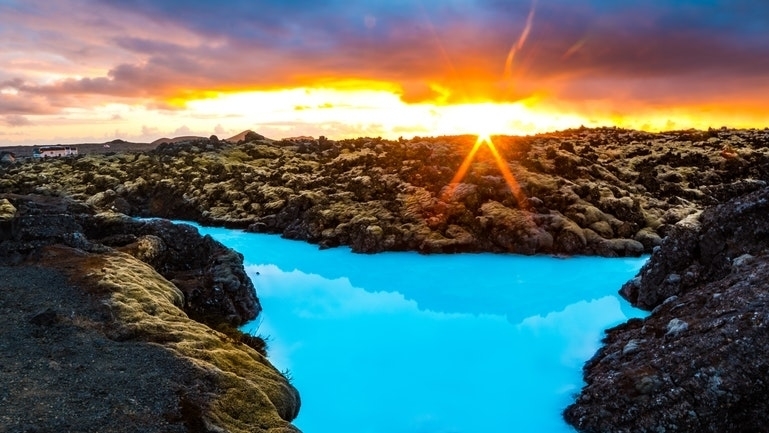 Here you combine these two magic places in one day tour with standard admission tickets into the Blue lagoon and admission to the Kerid Volcanic Crater included in the package. 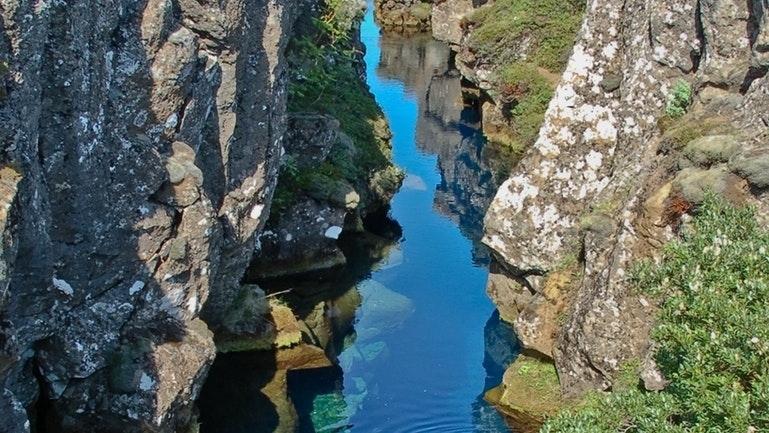 Your day starts by driving from Reykjavik to the historic site of Thingvellir National Park. This was the venue for the Icelandic parliament from 930 till 1798 and is listed by UNESCO as a World Heritage SIte, both for its rich history and amazing nature. This is also where the American and Eurasian tectonic plates meet which creates an amazing feeling having one foot in each world. After enjoying the experience of Thingvellir, you will travel onwards to the world famous site of the hot spring Geysir. Known throughout the world for its power and beauty, Geysir has become a synonym for this amazing show of nature. 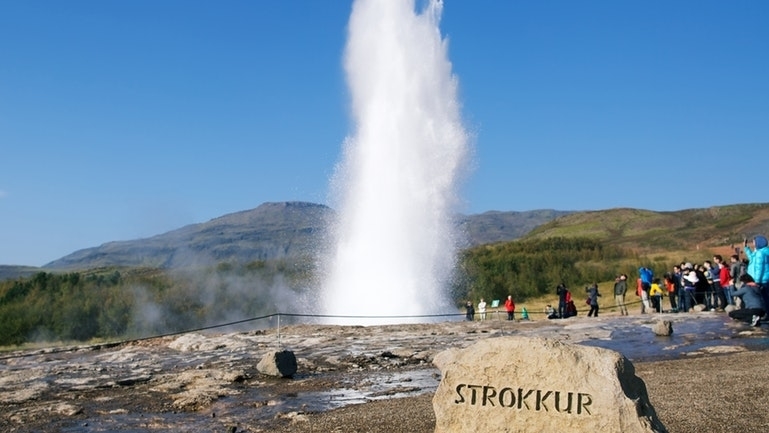 Strokkur, another hot spring, sits nearby and is very active, erupting to heights up to 30 meters every few minutes. 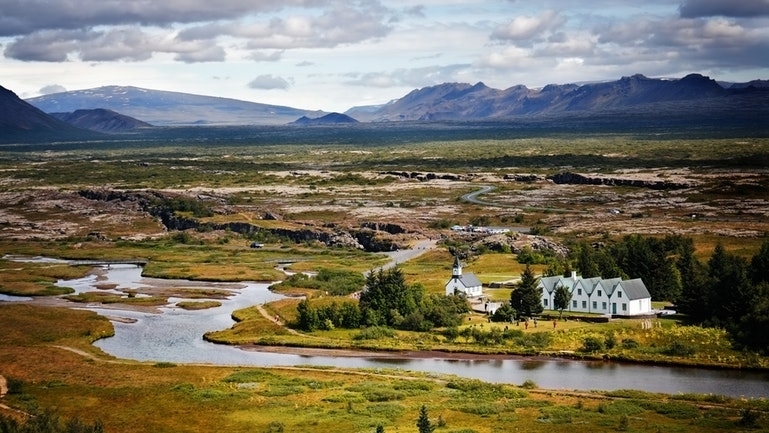 In the Geysir area, you will also have time to buy lunch or some snacks. 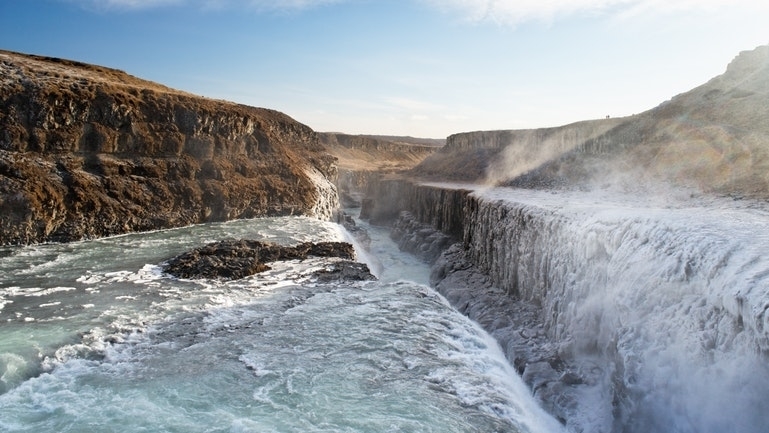 Next on the agenda is the waterfall Gullfoss – the golden waterfall. One of the most popular tourist attractions in Iceland, Gullfoss will amaze you with its raw power and beauty, plummeting down 32 meters into a rugged canyon. 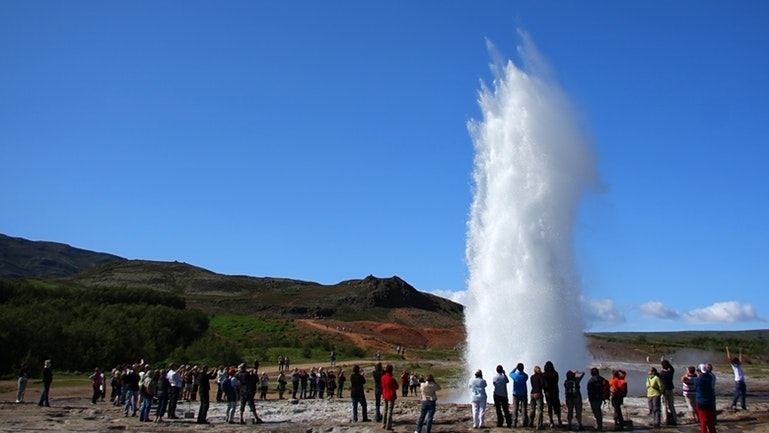 These three attractions complete the classic Golden Circle – but to add even more to your experience – we also stop at the spectacular Kerid Volcanic Crater. 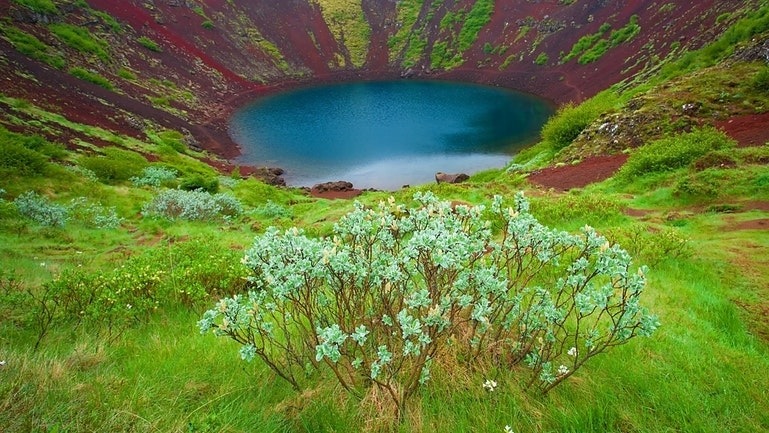 This 3000-year-old crater is 55 meters deep and offers a unique view of the beauty of the Icelandic nature. Admission to the Kerid is included in the tour price. Realmente recomiendo este tour. La belleza de Islandia los dejará sin palabras para describirla. El viaje es largo, pero agradable. Lleven dinero o bocadillos preparados para el día y una buena chamarra para protegerse del frío viento. Los guías son excepcionales, cualquier duda o consejo no duden en preguntar.